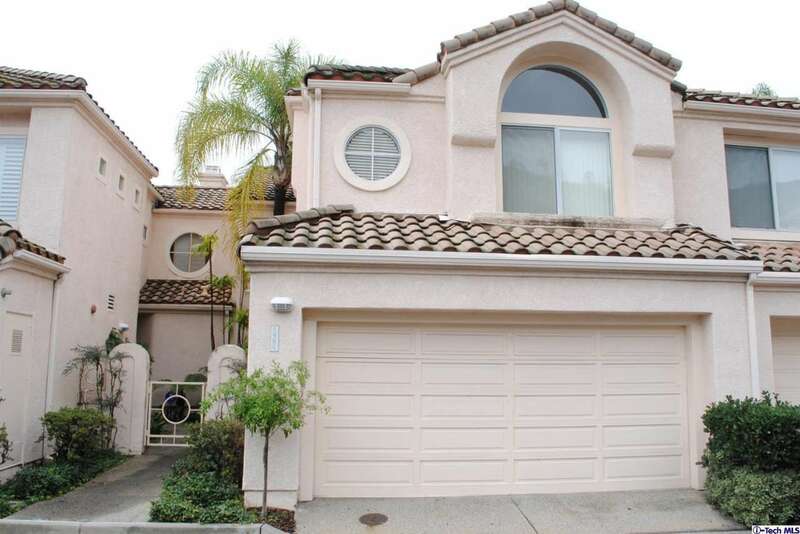 2 story Mediterranean Townhome with 2 bedrooms 3 baths and direct garage access! Located in prime Rancho San Rafael community. Large entry leads to living room with vaulted ceiling and fireplace, formal dining, built-ins in bright kitchen with breakfast area,two master suites. Courtyard entrance plus rear patio. Located on cul-de-sac with guest parking and short distance to community pool, spa, tennis courts, playground, rec-center. Must see!